Hamas terror group planning to step up arson attacks on Israel, replace balloons and kites carrying incendiary devices with armed drones. Terrorists operating out of the Hamas-ruled Gaza Strip are planning a new wave of arson attacks on Israeli territory, replacing the low-tech “terror kites” and “balloon bombs” with hi-tech drones to drop time bombs deeper inside Israel. In recent weeks, Gaza terrorists have launched thousands of balloons and kites carrying improvised explosive and incendiary devices into Israeli territory, sparking some 700 fires and causing millions of dollars in property damage. 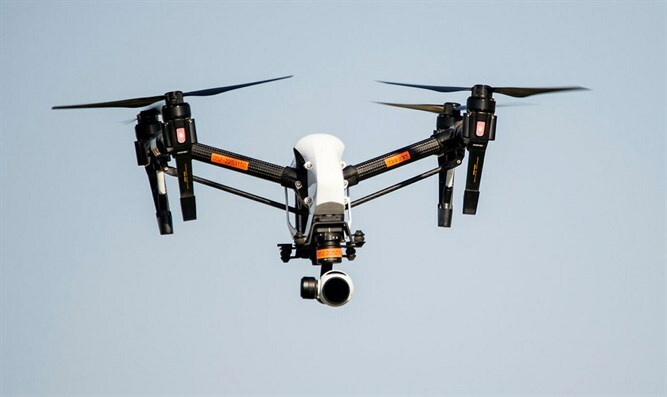 According to a report by Israel Hayom on Friday, Israeli security forces now believe that the Hamas terror organization which rules the Gaza Strip is planning more advanced attacks, utilizing small unmanned aircraft. Using remote controlled drones armed with delayed-action incendiary and explosive devices, the new wave of attacks are aimed at hitting Israeli communities farther from the Gaza border, potentially even reaching Israeli towns in Judea and Samaria. The Israel Hayom report also claimed that a terror kite landed next to the town of Lakhish this week, southwest of Kiryat Gat, far beyond the Gaza border area. Security officials say the kite launched towards Lakhish was attached to a more advanced electronic time-delayed incendiary device, possibly a test by Hamas in preparation for the coming wave of drone-based attacks.